I was challenged by Cricut to make a Halloween Decoration, and while I was thinking of ideas, I looked at the rather forlorn vase of flowers on my desk, which were more dead than alive, and the lightbulb went off in my head. 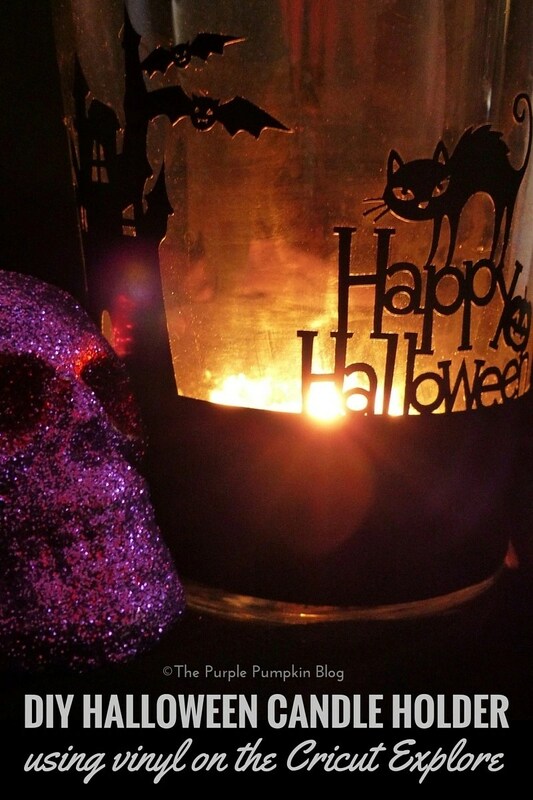 I would use the vase as a giant tea light candle holder, and use vinyl and the Cricut Explore to cut Halloween silhouettes to wrap around the glass. I opened up the Cricut Design Space and went through the Halloween images available to me, picking out several that I liked. I then drew a rectangle shape to the length of just under 12″, which is the maximum width of the mats that I have. My vase was 14″ around, so I cut a separate piece of vinyl to fill in the gap. I moved the pieces around on top of the rectangle, which would be the base, until I was happy with the design. I then welded these pieces together so that I could resize as required. I cut the ghost separately to stick on the back of the vase. I lined my mat with a piece of black vinyl, and set my Cricut Explore to vinyl so that it would cut correctly, before pressing the button to start cutting. I’ve not used my Cricut Explore for a long time now, and forgotten how awesome it is! Once the vinyl had been cut, I removed the negative space around the image, and carefully picked away at the little details, like the gaps between the letters, and the features on the animals etc. I then used transfer tape to position the vinyl, and wrap it around the vase. It was at this point I realised I should have had a bit of a curve to the rectangle, so that it would wrap around correctly… d’oh! But in the end, it looked just fine. I filled in the gap at the back with a smaller rectangle of vinyl, as my vase, was, as I mentioned before too big. I then added the ghost in place too. All that was left to do was add in some candles and light up my spooky Halloween candle holder! I’m really pleased with the way it turned out! 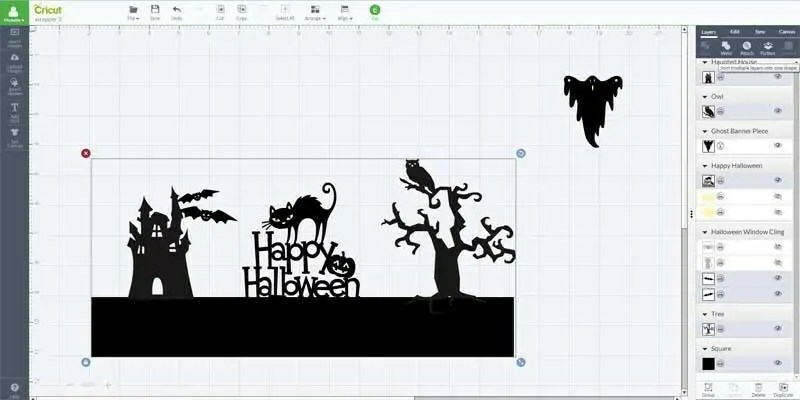 The beauty of a Cricut project like this, is that you can pick and choose exactly what you want to go on your Halloween candle holder – the only limit is your imagination!